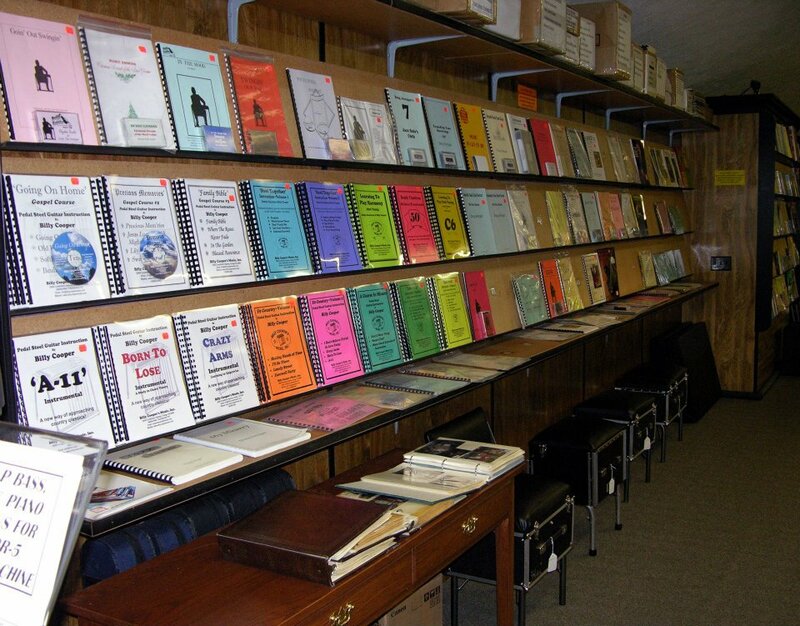 The largest, most complete pedal steel guitar specialty store in the world. We offer on site and mail order sales of pedal steel guitars and related accessories. One-on-one pedal steel lessons by appointment. download this updated PDF list. 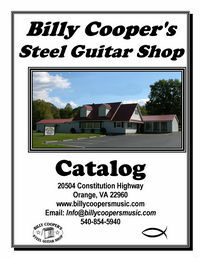 Billy Cooper's Music opened it’s doors in 1982. 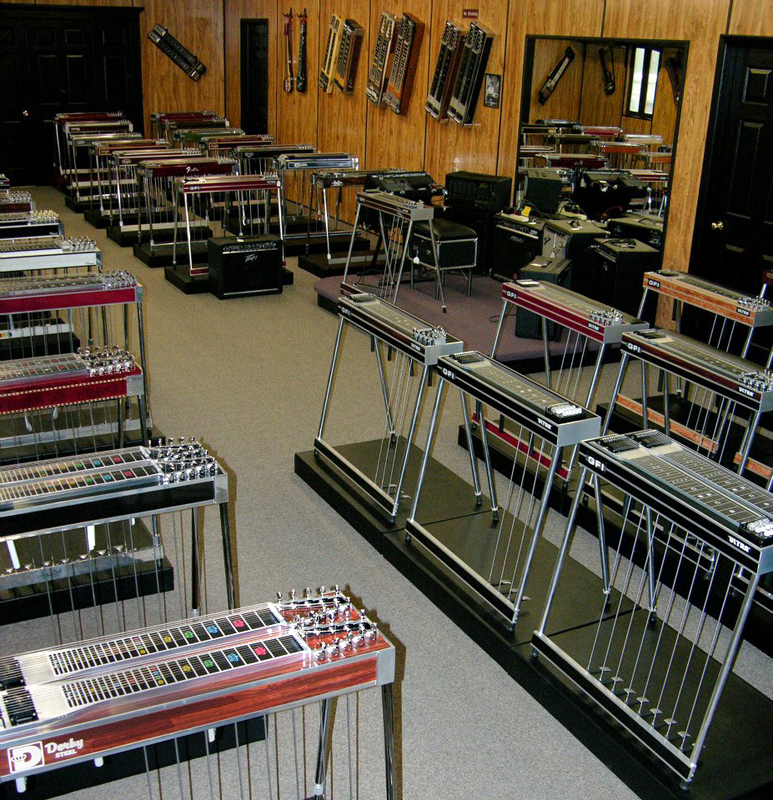 Today we have over 4200 square feet of showroom space devoted almost exclusively to the pedal steel guitar. 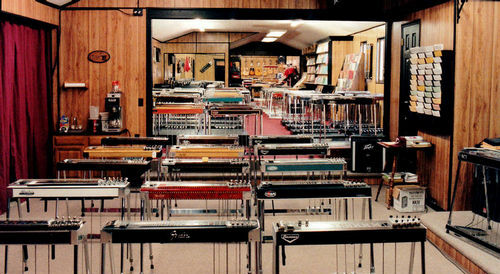 We offer for the pedal steel: amplifiers, volume pedals, tone bars, tuners, strings, instrumental CD’s, instructional material, effects, and much more. 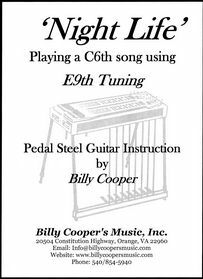 In short, we have everything you need to get the most out of your steel guitar experience. 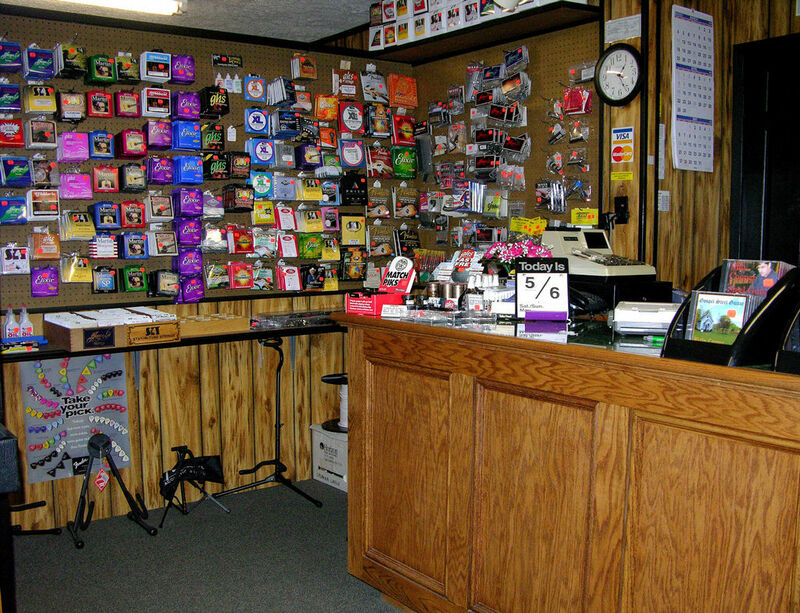 We are open Tuesday - Friday 10am to 4:30pm, Saturday10am-Noon. Stop by and see us or contact us via email or phone.